In Angels in America, the angel’s appearance is a pivotal moment in the script and is described as having an overwhelming presence. 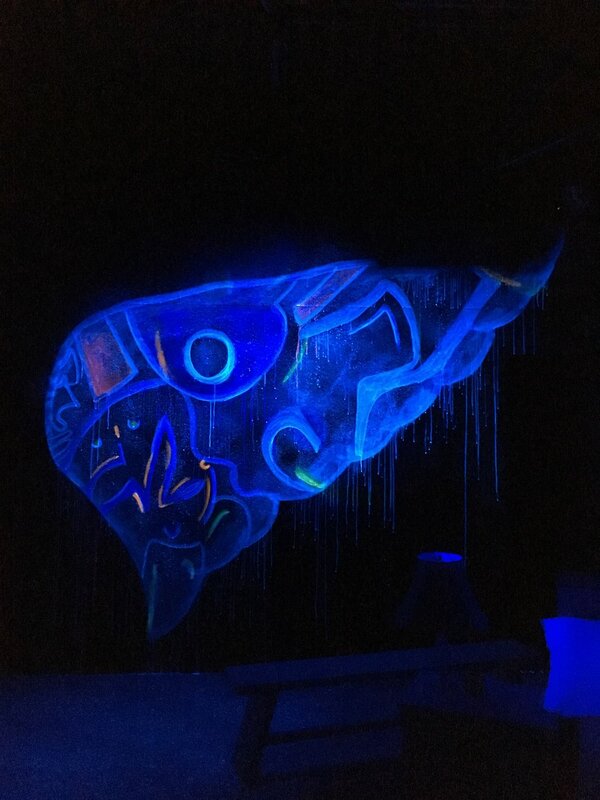 To achieve this in our production, I collaborated with the directors and lighting designers, where we came up with a pair of painted ultraviolet wings disguised in a graffiti mural on the upstage wall. 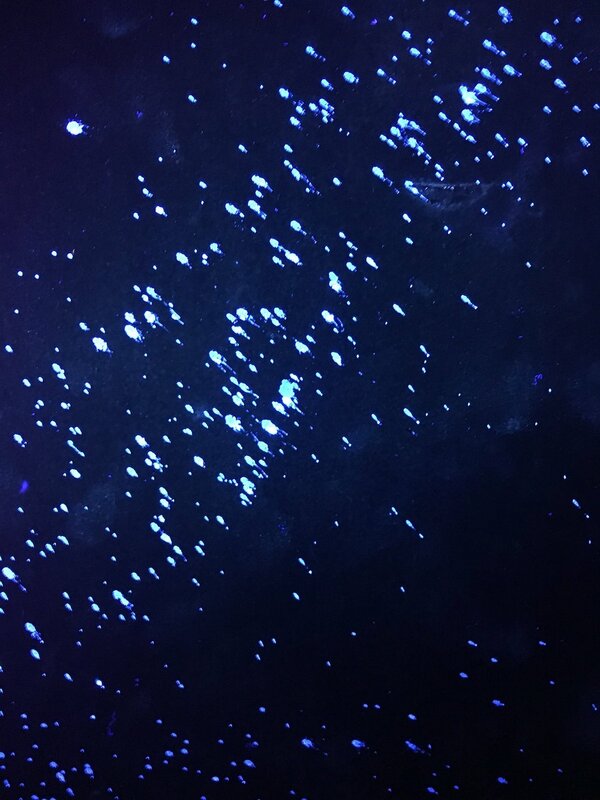 Using Rosco’s UV paint and Microcube fixtures, I was able to hide the wings during the show and reveal them during the angel’s appearances. Check out Rosco Spectrum Blog post on these wings! Watch a video transition from stage light to Uv LIGHT during Angels in America: Perestroika.